Poet, teacher and KUOW literary producer. Author of Every Dress a Decision (Blue Begonia Press, 2011). Former Washington State Poet Laureate, 2014-2016. Finally, here’s the 5th installment of the “Poetry for All” series of short video writing prompts: Call and Response. Please feel free to use the “Comments” section to share your response to the prompt, and to forward this video on to others. This prompt features Ellen Bass’s poem “The World Has Need of You” from Like a Beggar (Copper Canyon Press). Ellen Bass, “The World Has Need of You” from Like a Beggar. Copyright © 2014 by Ellen Bass. Used with the permission of The Permissions Company, Inc. on behalf of Copper Canyon Press, www.coppercanyonpress.org. I am heartbroken by the news that poet C. D. Wright has died. I don’t think I realized until tonight just how much her work has shaped my sense of what poetry can/could/should do. Just this month, Copper Canyon Press published a brand-new collection of her essays, “The Poet, The Lion, Talking Pictures, El Farolito, A Wedding in St. Roch, The Big Box Store, The Warp in the Mirror, Spring, Midnights, Fire & All,” and believe me, I want that book in my hands right now. I’m delighted to tell you that Gov. Jay Inslee has appointed Tod Marshall as the Washington State Poet Laureate for 2016-18. This is great news — Tod is a marvelous poet and a gifted teacher, and he will be a terrific advocate for poetry in our state. His term begins Feb. 1, 2016. Tod plans to use this site, so if you haven’t yet signed up to follow wapoetlaureate.org, please do. If you want to get a sense of Tod’s voice and sensibility as a poet, give a listen to “Three Dreams from the Eastside of the Mountains,” as featured on KUOW. Poets Anne McDuffie and Kathleen Flenniken will host a celebration of the life and work of beloved Northwest poet Madeline DeFrees on Jan. 9 at 2p at Elliott Bay Books. Madeline died in November, just a few days shy of her 96th birthday. I spent this morning reading various tributes to and interviews with Madeline (find links to many at madelinedefrees.com). I’ll add just a couple of thoughts here, and share one of my all-time favorite DeFrees poems. Madeline was an essential part of the Seattle poetry community for more than 25 years. She published eight full-length poetry collections, including Blue Dusk: New & Selected Poems, 1951 – 2001 (Copper Canyon Press) which won the Lenore Marshall Poetry Prize. For me, the new year begins the day after the Winter Solstice, when the days begin to lengthen again. And as I do every 12 months about this time, I’ve started to panic about what I didn’t get done, what I promised and failed to do, what I really, really meant to do… Sound familiar? This year I’ve decided late is OK, that it is almost always is better than never. So here’s the first of what will likely be a few posts about things I meant to share with you ages ago. 4Culture and King County Metro reinvented its fabulous, populist “Poetry on Buses” program – did you catch it? 365 short poems in multiple languages, from people of all ages, on the theme “writing home” – just gorgeous. You can also listen to this KUOW story about the program. 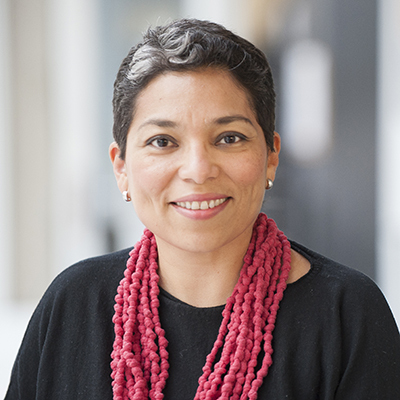 Yesterday, KUOW featured two stunning poems by Seattle-based poet Lena Khalaf Tuffaha. Each, in its own powerful way, carries us past the headlines, beyond the numbers, and reminds us of the very real human beings who are confronted on a daily basis by war and terrorism. I hope you’ll take a few moments to give “Fragment” and “Running Orders” a listen. Learn more about Lena Khalaf Tuffaha’s work and Broadsided Press.